The search for the ideal Direct Sales company is OVER. A revolutionary hair care line of naturally based products that address the effects of the environment, chemicals, product overuse and even aging. Radiance is key to hair’s beauty. MONAT products help revitalize, hydrate and protect the hair’s appearance thanks to innovative technology and progressive ingredients. How many hair products have you tried in your lifetime?Probably dozens — if not hundreds. Between the drugstore, the salon and upscale retailers, the choices are endless. Most consumers repeatedly try and buy new products because the result rarely lives up to the type. Even products we like stop being as effective over time. Why? Most of these products are designed to a narrow set of hair challenges, and as we reach different stages in life, these issues tend to change. MONAT offers exclusive science formulas infused with our exclusive REJUVENIQE™ OIL INTENSIVE, delivering incredible moisture, renewing life to the hair and eliminating brittle texture. After just a few uses, you’ll see thicker, longer, stronger, healthy and youthful-looking hair … and the more you use MONAT, the more your hair benefits to sustain the beautiful appearance of healthy-looking hair by providing it with beneficial hydration, necessary cleansing and moisturization, nutrition for hair regrowth, plus the added benefit of UV protection to preserve hair’s radiance and help pause the signs of aging. All MONAT products are naturally based, with pure active botanical blends combined with powerful new technology, such Red Clover Extract (Capixyl), and Pea Extract (Procataline), and Cordasorb™. These amazing ingredients protect the hair against UV and free-radical damage, and infuse each strand with vitamins and minerals that combat oxidative stress while proactive amino acids repair and replace intercellular function. MONAT is one of the few products that will see you – and your entire family – through years of use. How can that be? Simply put, MONAT focuses on the health of the hair, so it addresses hair concerns that span the generations. You’re brimming with health and vitality, but your hair has already been exposed to years of environmental and product damage. Start using MONAT to pack your hair with its naturally based ingredients for superior softness and manageability. At the same time, you’re preventing future damage with every use. Are you in your 40s and 50s? You may be at the prime of your personal and professional life, but your hair is starting to wear down and turn brittle from decades of exposure to heart, chemicals and pollutants. This is your chance to turn back time and baby your hair with MONAT’s intense moisturizing and thickening agents. Are you in your 60s or beyond? It’s never too late to reverse the damage your hair has been subjected to throughout your life. Use your senior status to show off a noticeably thicker, healthier head of hair, as well as your good judgment in choosing MONAT! See for yourself how our patent-pending formula of naturally based ingredients seeps hair in incredible moisture, reducing dry and brittle texture to deliver new life and hydration to every strand. Our exclusive blend of vitamins and minerals combat oxidative stress, along with proactive amino acids to repair and replace essential nutrients that actually help grow longer, fuller, stronger, younger-looking hair in just 90 days! Why Join MONAT? Well it’s the BEST hair care on the planet for ONE! FREEDOM! Work from HOME! Be your own BOSS! Set your own FLEXIBLE hours! Win incentive TRIPS. Meet amazing new FRIENDS! Earn a little or earn a lot… YOU determine how high you’ll go! This is a ground floor opportunity in a very new company with a focus that is ONLY hair! And we are the ONLY direct sales company that is just about hair! The products are naturally based, high quality and they are clinically PROVEN to REGROW and REPAIR hair! Why Monat? Why are we so different? The Hair Care Industry is a 40 billion dollar a year industry and projected to grow to 59 billion over the next 3 years!! It's a consumable product - I have repeat customers for two years now. Most order every month or two. We're the only Direct Sales Company focusing on Hair! Patent pending on our revolutionary products -Nothing else like them anywhere in the world. All made in the our very own FDA approved Manufacturing facility in Miami, All in the USA! We have an office and Shipping Facility in Toronto, Canada We're going Global !! Imagine the possibilities! We have products for every hair type!! We can add salons and or stylists to our teams! We can earn all expense paid trips, and MONAT loves to spoil their leaders with gifts. We can become a member of Monat Motor Club and earn a New Cadillac from Monat! We can will our business to our family! The pay plan is PHENOMINAL!! I'm a Senior Executive Director with Monat. I don't feel successful unless I help my whole team become successful as well! My number one priority is YOU! :) The money is ahhhmazing, yes! The trips are a blast and always the best of everything provided by Monat. The Cadillac is beautiful of course. But nothing makes you feel more valuable and worthy than when you help others do the same you're doing. I was just called up on stage along with 4 of my team members at our Annual Conference as 5 out of the top 10 in ALL of Monat for the entire year!! This my friends is true success, when you can grab your partners hands and walk up on stage with them!! I'm very supportive and I want to help others to find the same thing I didn't know I had before.. buried deep down along with my old dreams and goals in life. You are important!! You are strong and courageous, you do have dreams!! Let's lock arms and discover all of these wonderful things together! I’m a wife, mother, nana, entrepreneur, and social influence enthusiast. My passion is helping others dream big and then crush those dreams so hard, that you have to dream new dreams!! The women and men I work with are my tribe, my extended family. They are hard-working, passionate, and encouraging. I started my business 4 years ago when I had no choice but to find something I would not have to physically drive to an office or a building to work at. It had to be something that I could work from anywhere but where I could highly succeed and be paid for the value I bring, not by the hour. I was traveling back and forth non-stop between two countries after my husband's company of 20+ years sold out. We were displaced to Canada away from our family. I had to do something that wasn't the normal daily grind or else I'd wouldn't be able to live my life the way I had always worked towards and had imagined it to be. Once I found the most perfect opportunity with the most amazing and caring company that I could partner up with... I built a six-figure income. I’m so grateful for that struggle because it made me work hard to realize my dreams!! I have the passion, but it took a lot of dedication too!! My big scary dreams were to retire my husband 15 years early, leave Canada and be present for my kids, grandkids and all of my family. I am so grateful all of these dreams are reality now. I now have the opportunity to help others realize all of their dreams, dreams so big that it scares most people. A hair care company that returns profits to people (not reps or big box stores.) A company that believes in helping others dream big and then crush those dreams!! A culture like no other I've seen in any industry!! We are a family and we're ready to welcome you in!! I work with people across three countries leading, mentoring and loving on my amazing tribe!! I couldn't see myself doing anything else!! I LOVE IT!!! I'm passionate about helping others see their and reaching full potential!! I'd love to connect. Please message me on facebook and add me as a friend. Let's do this!! 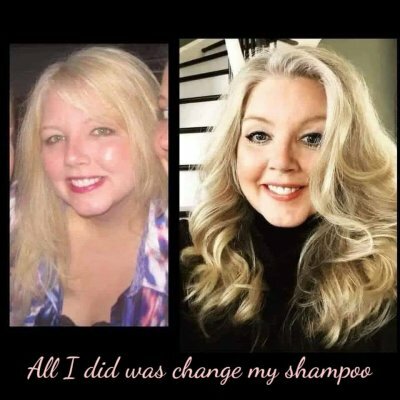 Roxy Henley and Monat has changed the lives of so many of my dearest loved ones. The companies goals and mission are so very clear and there products really work! But above all Roxy really goes the extra stretch to not only change someones hair but their life as well. I can't say enough about Roxy's Amazing Leadership! She breaks things down into step by step actions and works beside you and leading the way every step. She builds leaders! Her team is also all like family to each other and all work together on common goals. I love being a part of her organization!! Roxy connected with me where I work and introduced me to Monat. I started using the products and just love them. Roxy showed me how I could get the products for a bigger discount and then start my own business. She is an amazing coach and mentor that helped me right from the start with my new business and helped me get what needed each month to help my family. I'm so grateful I found Roxy and Monat. Please use the following form to send an email to Roxy Henley Senior Executive Director Mp Id #1261.